After increased pressure from regulators, Comcast officially nixed its $45 billion takeover of Time Warner Cable last week. As both companies deal with the fallout, they should now focus on communicating their independent strengths to reassure stakeholders, say comms pros. Since last February, Comcast and Time Warner have been tirelessly touting the merits of the supposed strategic combination. Comcast stated it would have accelerated delivery of the company’s products and services to Time Warner’s customers; and the deal was expected to create multiple pro-consumer and pro-competitive benefits. Both businesses have specifically hyped up the value the combined company would bring to shareholders, employees, and customers. The deal had promised to reshape the media landscape, with the combined company controlling as much as 57% of the nation’s broadband market and roughly 30% of pay television. Abernathy MacGregor Group assisted Comcast with communications around the acquisition; Sard Verbinnen supported Time Warner. Now that the plan has been scrapped, stakeholders need to know the companies’ individual growth plans moving ahead, according to a PR pro who was at Quaker when it sold Snapple for $300 million, just 27 months after acquiring the beverage company for $1.7 billion. "All the talk has been about how good they are together. Now, they are not together, so there has to be a focus on what each company independently brings to the party," the source says, adding that companies planning a merger should be communicating this from the get-go, as a precaution. For instance, Quaker made it clear from the start that Snapple only represented 10% of revenue, as a new piece being added to organization’s overall portfolio. "The relationship didn’t work out, but because we made our strengths clear, it wasn’t like we were throwing out the baby with the bathwater," the former Quakers employee adds. Time Warner and Comcast have quickly been spotlighting positive stories about their businesses in the aftermath of the ill-fated deal. Comcast chairman and CEO Brian Roberts said that although the company would have liked to bring its products to new cities through the deal, the merger was structured so that if the government didn’t agree, Comcast could easily walk away. Time Warner reported its Q1 earnings this week, and with revenue only increasing by 3.5% to $5.78 billion, CFO Artie Minson took the opportunity to reassure stakeholders by highlighting the company’s strong user growth. Acknowledging employees is especially important when a deal dies. Chances are they have been hearing for some time about how the companies were going to grow together, how positive the merger would be for the stock, and career opportunities that would open up for people as a result of the merger. So after last week’s bombshell, staffers are left asking: What now? Both Time Warner’s CEO Robert Marcus and Comcast’s chief executive both made sure to thank their staffers in their respective statements. However, Debra Wasser, Edelman’s EVP for financial communications and special situations, explains that when companies merge, many employees are negatively impacted because of synergies and cost-cutting efforts. "Some employees might have been looking forward to the merger in terms of opportunities; others might have been worried they were going to lose their jobs if it went through," she says. Moreover, many Time Warner and Comcast employees will be wary that the companies are already eyeing the next potential deal. "A lot of these staffers will now see the glass as half empty and worry about their futures and security," says the former Quaker source. "They will wonder if it is going to be business as usual or if they should expect significant changes." To quell employees’ concerns, each company must restate its narrative about its future as a standalone entity and why it is still a sustainable and positive workplace, Wasser advises. A move like this also has the potential to change a company’s narrative with investors for years. Wasser, who previously served as SVP of IR and corporate communications for Veeco, was at the company when its planned merger with FEI failed in 2003 due to difficult overall market and economic conditions. She explains that it was difficult for Veeco to put discussions about the transaction to bed. "Investors kept comparing us with FEI and looking at which company was doing better," she says. "There was speculation that the two companies would try again, so it was hard for us to put the toothpaste back in the tube about that transaction." Comcast and Time Warner should work fast to reset investor messaging. Specifically, they must show that the decision is part of a long-term strategy, says Benjamin Bourinat, Omnicom’s manager of corporate communications. He joined the firm six months after it called off its $35 billion mega-merger with Publicis Groupe. "Sometimes it makes sense to pull out of a great deal, knowing your own company will make more money with its individual strategy," he adds. But if this is not communicated properly, it might look like company execs don’t know what they are doing, and create skepticism around future M&A plans. For example, the tech world was shocked with Snapchat rejected a $3 billion cash acquisition offer from Facebook in 2013. "Snapchat wasn’t vocal enough about the fact they were developing their own products at the time to monetize their platform, but it was a very smart decision," says Bourinat. The company was recently reported to be valued at $15 billion. PR pros don’t believe that the failed merger will do much to affect the companies’ already soured reputations with consumers. After all, Comcast and Time Warner took the top two spots on the University of Michigan's annual report on the least popular companies in America, due to poor Internet and TV services, and shoddy customer service. However, Wasser notes that when a deal falls through, and two competing companies go from being friends to foes, customers may be wary about how that impacts their service. Thus far, Comcast and Time Warner have been amicable in their messages about the decision to withdraw, showing no hard feelings, says Bob Chlopak, a partner at CLS Strategies. "They are being so gracious because they are likely going to plan more mergers in the future," he adds. For example, Time Warner and Charter Communications are currently holding separate acquisition talks with Bright House Networks, according to The Wall Street Journal. The talks are preliminary. Last year, Time Warner turned away a $37.3 billion bid from Charter Communications, calling the proposal "grossly inadequate." Kekst worked with Charter on the proposed deal. "The companies can go into their next potential deals with insights from what they have learned from this experience in terms of how people reacted to what they were going through, and what they need to do differently going forward," says the former Quaker PR pro. 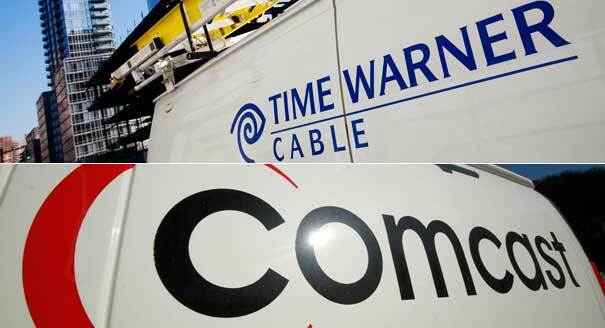 Representatives from Comcast and Time Warner declined to comment on the matter.